I bought a membership for the Art Gallery of Ontario and visited Boucher's Les Sabots exhibit for my critique. 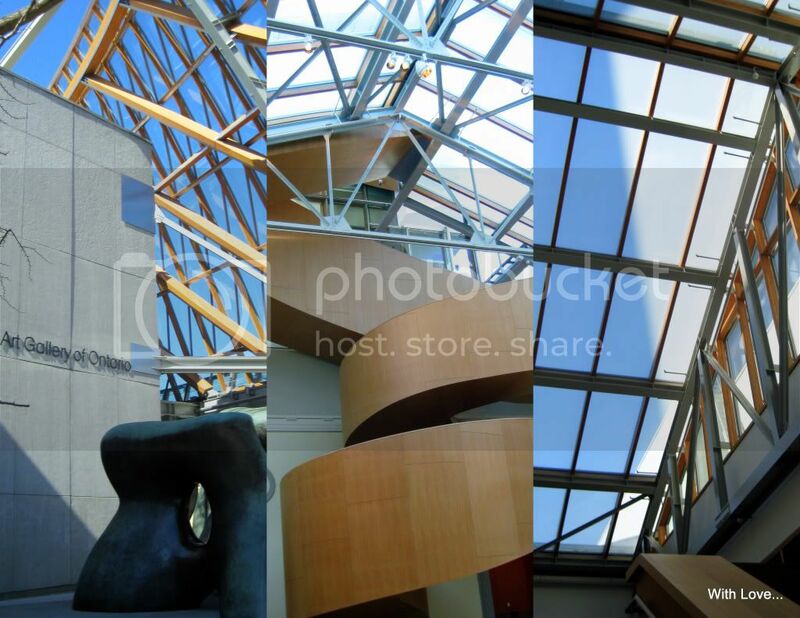 The gallery was recently re-done by the famous Frank Gehry and is very impressive. I can't wait to take the architectural tour! I really loved what they did with the hair at Carolina Herrera (spring 09) and decided to try it myself but by adding a girly twist - a ponytail, instead of tucking away my hair. It is comfortable and neat, and would definitely work in summer when it is humid. Seriously, if you need some alone time to contemplate all things beautiful - visit your local gallery. You will be surprised as to how refreshed you can feel after. I wish you all a wonderful day !!! !